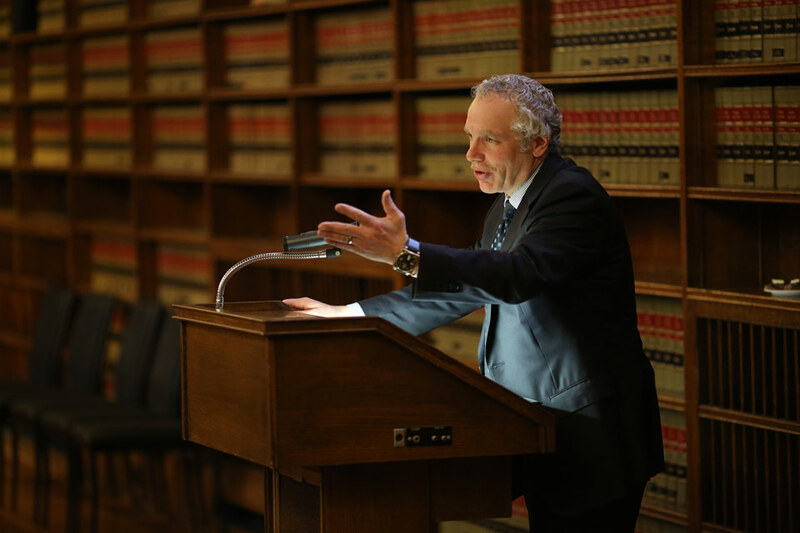 On April 25, 2017, Julian Falconer, delivered remarks on behalf of the Treasurer at the Law Society of Upper Canada’s (LSUC) annual recognition of Holocaust Remembrance Day, called Yom HaShoah in Hebrew. Yom HaShoah officially began at sundown on Sunday, April 23, 2017, and took place on Monday, April 24, 2017. Hosted at Osgoode Hall in Toronto, and organized in partnership with the League for Human Rights, this commemorative gathering was attended by almost 200 people. During the night’s events, attendees were encouraged to not only remember the victims and genocidal injustices of the Holocaust, but also to continue the fight against Holocaust denial and anti-Semitism more generally. Other speakers at the event included Edith Gelbard, a child survivor of the Holocaust whose experience inspired Kathy Kacer’s book, Hiding Edith, CEO of B’nai Brith Canada, Michael Mostyn, as well as Cantor Aaron Bensoussan.